Learn in a fun way while deepening your faith. We offer many interactive activities such as Bingo, Flashcard, and Jeopardy Reviews to help students learn while having fun. New material is added to the website regularly to assist students learn and grasp the main topics. Teachers and students create their own personal profiles. 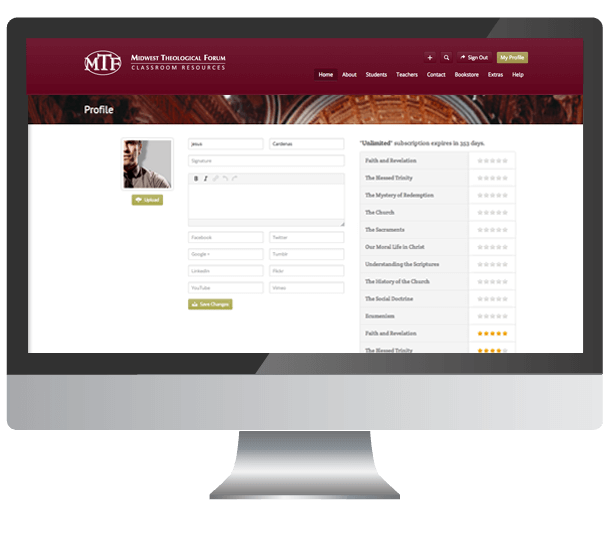 Personal profiles allow teachers and students to discuss relevant and important classroom topics. Students may post questions or ideas that other students can answer and reflect upon. 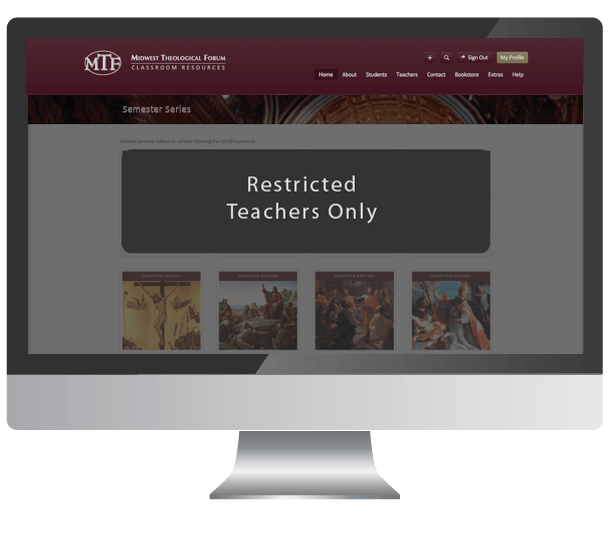 If you are a teacher and currently use the Didache Semester Series, please contact us so we can provide access to the teacher resources. Click on the button below and follow the instructions on that page. 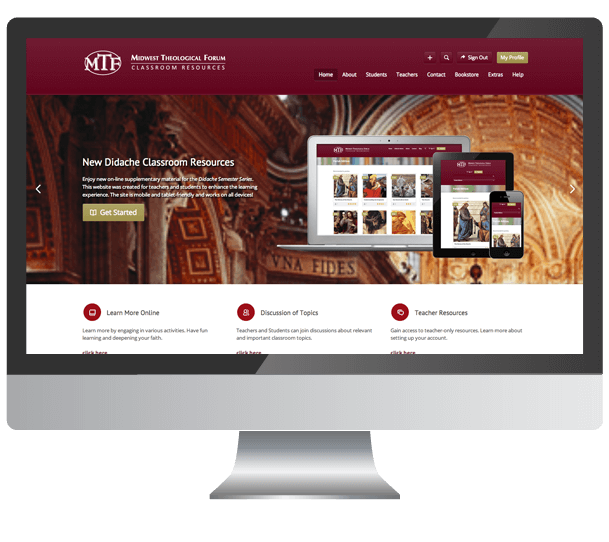 Midwest Theological Forum (MTF) is a not-for-profit corporation that publishes materials and organizes courses for Catholic bishops, priests and laity. MTF is located in suburban Downers Grove, 30 miles southwest of downtown Chicago. 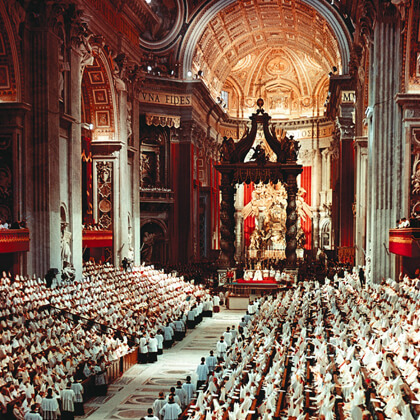 Among MTF’s most popular books are the Daily Roman Missal, the Handbook of Prayers, the titles of The Didache Series, the Missale Romanum, the Book of the Gospels, the Code of Canon Law Annotated, and the Roman Missal, Third Edition. New supplementary material for the Didache Semester Series textbooks. Resources will be updated regularly with relevant and current material. A new blog will be offered in Spring of 2016 to spark classroom discussion. If you need assistance with the website, we can guide you step-by-step. 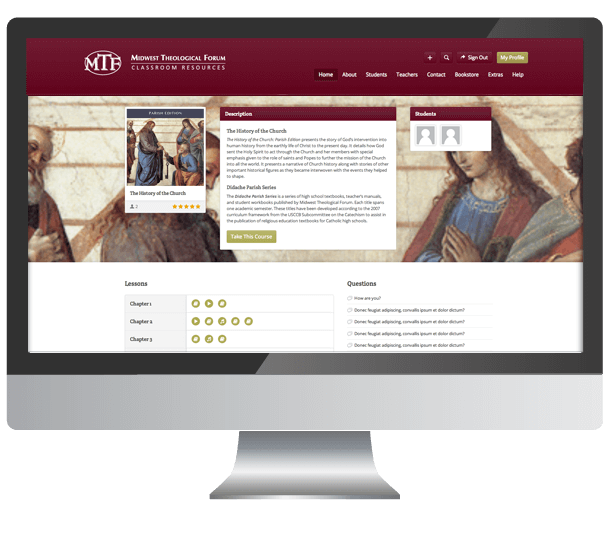 The online website is FREE for teachers and students using the Didache Semester Series.